Our first test site for the wireless data logger is underway. It has been an interesting exercise as we are tackling one of the most challenging sites on our list. It’s a restaurant within a hotel. This means that it is squeezed away to the side because the kitchen isn’t core business. It’s a small rabbit warren. Fridges and freezers are tucked away in odd spots. To add to the challenge, the loading dock is on another level. And the chef’s office is on another level. USB extension leads are worth their weight in gold. This allows us to move the base station away from the computer and up to a location that is in line of sight to the loggers, or out into the hallway. It is a bit of a mixed result in terms of getting the signal out of fridges, especially with longer distances involved. Expect client / server applications always have an unexpected issue. The mixed results with the signal in fridges has pushed us very quickly to make a unit with an external sensor. 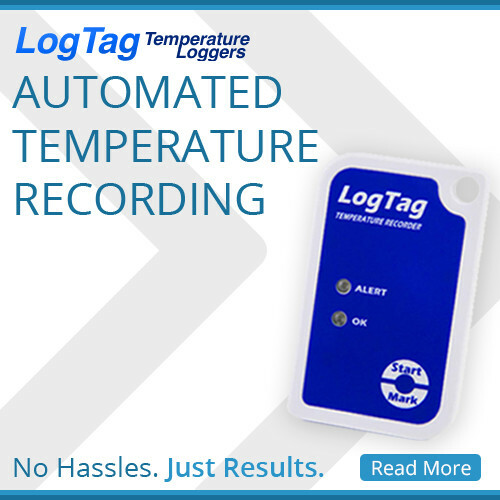 Chances are it will be a more popular item than the standard logger. So it is finally getting there. If anyone else is interested in a wireless data logger, just let us know.